Yesterday was all about the Kids Races. But by the end of the long morning we were all ready to get back to the hotel for some down time. Like, really ready. Beyond ready. It was getting ugly ready. Parents, you know what I’m talking about. Just a side note here: I know it’s my fault for raising my own little clones of Park-Going Commandos. 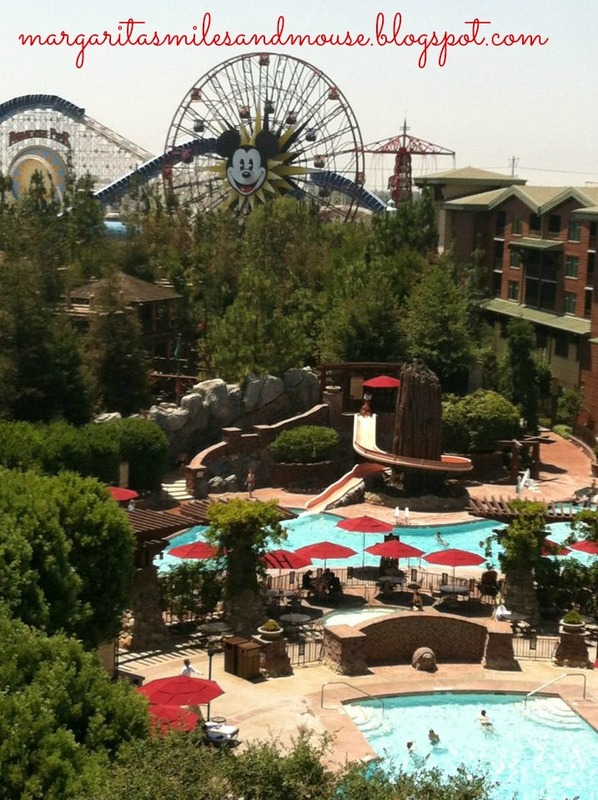 But I really do not think I was torturing anyone by “making” them swim at the Grand Californian pool all day Saturday instead of hitting the parks. I mean, really. Does this look terrible? 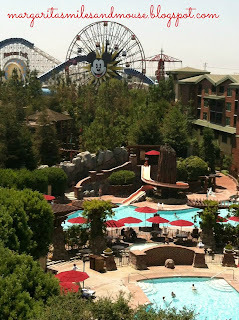 The Grand Californian really has so much going on for a family, you could make this a vacation in itself and not even enter the parks! Though you guys know me- that would never happen. The call of the Disneyland parks is a siren’s song I cannot ignore. 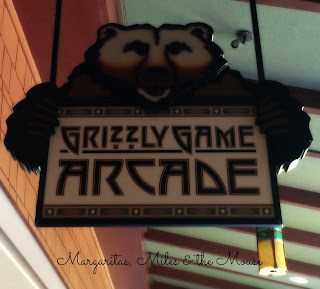 We “carb loaded” that night with one of my favorite off site restaurants, Marris. This is my go-to Italian in the area, and I discovered on this trip that they DELIVER, y’all. I didn’t have to leave the resort with 14 people to try to eat the night before the race. SOLD. New pre-race tradition for Shenanigans! In the morning we became Incredible. I have to give Mr. Shenanigans some major props. This is the first of many. He was- well- Incredible throughout this whole 19.3 mile journey. I love that man! But this was him stepping a bit outside his comfort zone. Y’all know I love dressing in costume for the races, but he kept saying “I just don’t get the purpose of this…” But he did it anyway. If you are looking for a fun couples costume, I highly recommend Mr. and Mrs. Incredible. It was super easy, comfortable, and we had so many people cheering us on that it made the race so fun! At the last minute I remembered some important items for this race. I tucked them into my Sparkle Skirt pocket and we were ready to run. These skirts really CAN hold anything y’all! First issue with this race: the corrals. 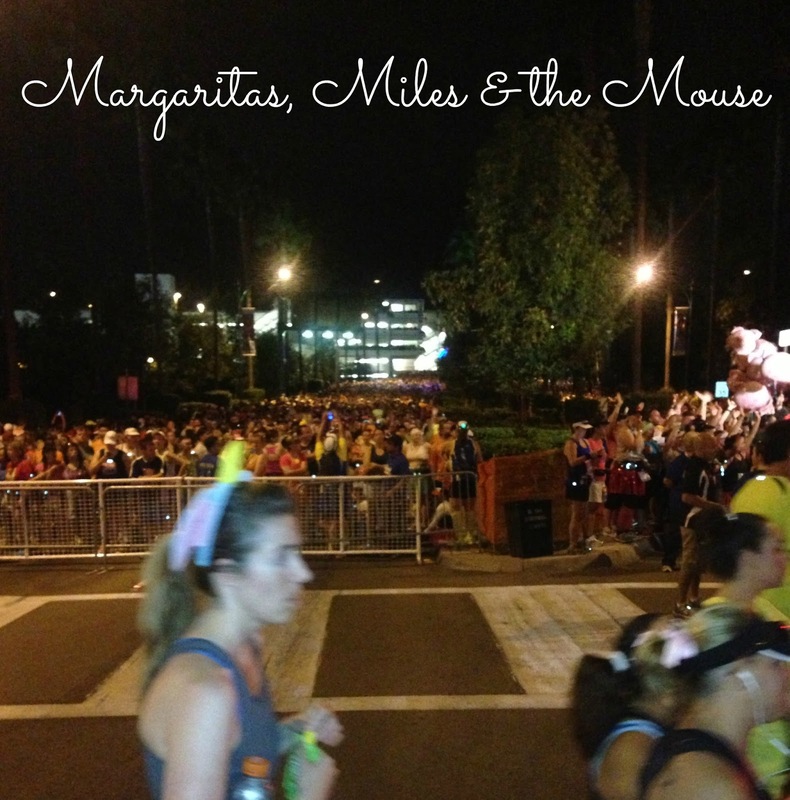 This was my first experience with the Disneyland Half maybe it’s not always like this. Both the 10K and the half corraling were a mess for the back groups. A-C seemed to be ok from what I could tell. But those of us attempting to line up in the back were in a pickle on both days. Anyone in corrals D & E I feel ya. I was there too. We were stuck by the time we arrived to the corrals. And we didn’t show up late. But we could not move. Volunteers kept telling us to move into our corral (D) but there was just nowhere for people to go. The sidewalks were jammed with folks trying to do just that. We made the decision to step over to the side, right behind Corral C and wait it out. My plan was to hang here, let Corral D take off, and then we’d join in at the back of our corral. Apparently 1000 other people had that same plan. The open space you see in front of Corral D filled with people trying to get back to the correct starting location. But it wasn’t happening. I had a very bad feeling about this. They couldn’t get us back into the corrals, so they decided to make us a new corral. We became the new Corral D with our own start time. I was shocked and felt more than a little guilty about this. I understood where runDisney was coming from- they had NO other option if they wanted the race to start on time. So life sometimes isn’t fair and a lot of people benefited from a slower walk out to the corrals. I’m sorry this happened y’all- I’ll do my best to be early in the corrals in the future. Girl Scout Honor. With the new set up, I scored a spot right next to the stage. 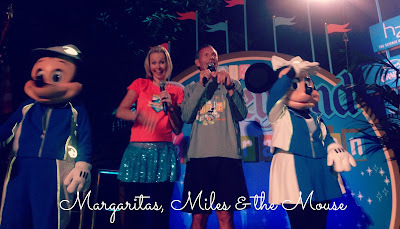 Four of my favorite runDisney peeps were right next to me! I love Carissa and Rudy- I may have been more excited to see them than Mickey and Minnie. Such great announcers for all the races. They do a wonderful job and I really admire them. Thanks for being awesome guys! Not ideal, but it sure felt better than the 10K race. Our race plan: just get this sucker done. We had no goal in mind. Since we took a ton of pictures on the 10K course, we planned to skip most pictures in an effort to finish faster. I had a reservation at Club 33 I didn’t want to be late for, yo! No time for pictures, no stopping, just keep going. We started off with the 1 min walk/1 min run intervals that we used for the 10K as well. My legs weren’t sore, but they did feel very tired at the beginning. The first two miles are usually hard for me to get in the groove anyway, but the parks plus a 10K had caught up to me. I began to worry, again, that this might be much harder than I thought. Thankfully, by the start of mile 3 those feelings had faded. I’m quite sure it was the Disney magic of being on property that gave my legs new life, but they felt FINE! Yahooooooo! 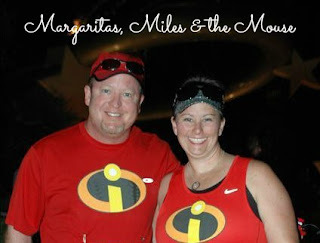 I was feeling optimistic, comfortable, and was having fun running with my Mr. Incredible. Disneyland Half 2013 recap continued here.